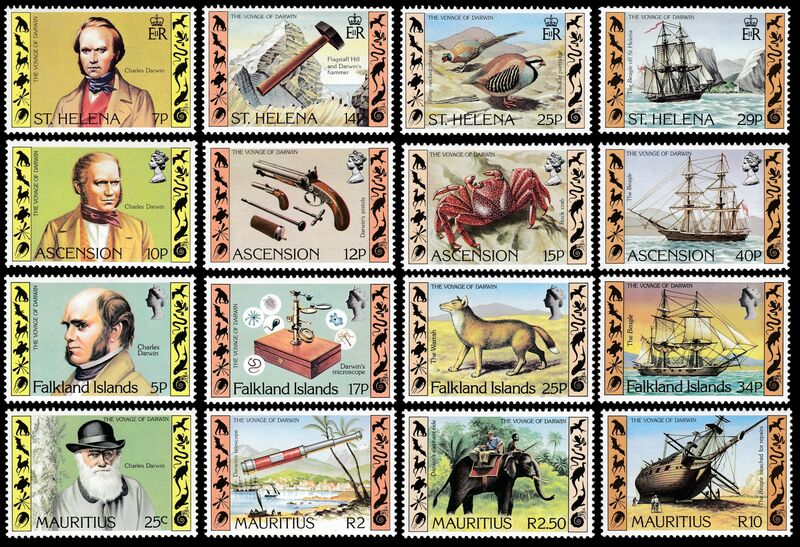 04.11.1985 "Naturalists"  23.04.2009 "Charles Darwin"
 On April 19, 1982 four islands country: Ascension island, Falkland island, Mauritius, St. Helena issued set of 4 stamps with very similar design to commemorate 150 anniversary since the famous scientist start his survey voyage (1831-1836) and visited the islands. stamp shows HMS Beagle. The ship that cared recently graduated naturalist Charles Darwin around the world. One of the sets looks a bit different from other three. 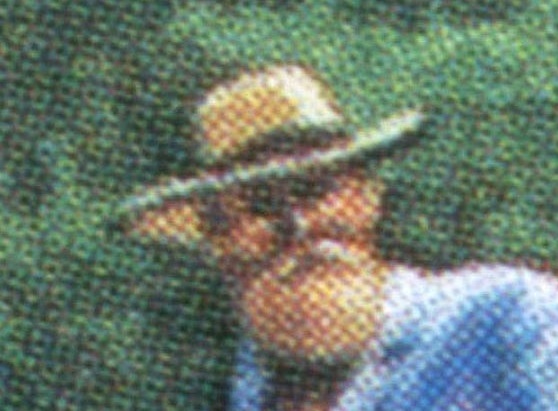 At his visit on Mauritius young Darwin don't wear beard and mustache and he never visited the island once again. The form of the beard and mustache is very different from well known face of Darwin. By the way, there are no elephants population on Mauritius, but Darwin has indeed a trip on an elephant by his stay on the island. The elephant was provided him by governor of the islands who got the elephants as present from some Indian Maharaja. Charles Darwin among other great naturalists - stamp with face value of 54p. [A1] H.M.S. "Beagle" and it captain Fitz Roy are depicted on stamp with face value of 27p of "Falkland Islands early charting" set from 1985. The ship is also depicted on stamp with face value of 25p from "Australia ’99, World Stamp Expo" set from 1990. The young naturalist Charles Darwin was on board, and his work made Beagle one of the most famous ships in history. [A2] The warrah, deoicted on stamp with face value of 1.01 GBP, was the Falklands only native land mammal – its existence in isolation on the Islands fascinated Charles Darwin (Darwin and a warrah depicted on stamp Falklands island in 1982 and 2009 ) and to this day remains something of an enigma. Darwin noted the warrah’s lack of fear of humans and predicted that it would become extinct once settlement was established. He was right, and the last known warrah was shot at Shallow Bay on West Falkland in 1876. Only a handful of warrah specimens exist worldwide and until recently there were no remains held in the Falklands. However, in 2010, Dale Evans (then 13 years old) discovered bones on his parents’ farm and DNA testing later confirmed these as warrah. Carbon-dating has shown that the bones are at least 1,000 years old, making them the oldest known remains of the species.